Test Drive and Then Some! Today, I ran down to Show Me Rod & Custom and got to working on the brakes. I got them all bled and adjusted, and while doing that, I changed the oil too! Took it for a quick test drive and was very happy with how they were stopping. About that time, Doug, my brother-in-law, who’s shop I have been invading space in, showed up to do a quick tire rotation on his pickup. 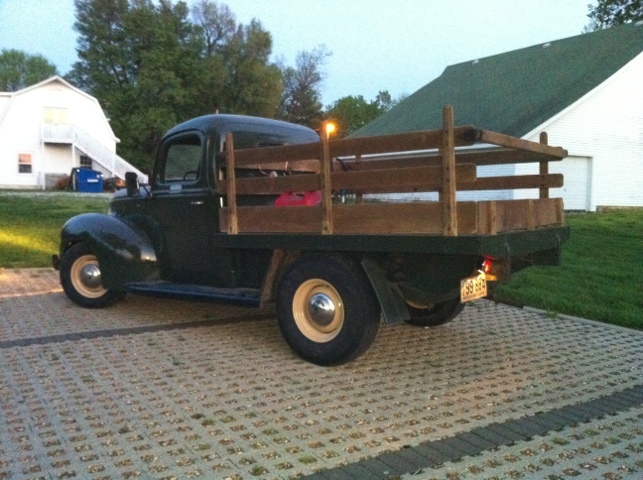 Once he finished, we decided to take the ’40 stake truck over to get some gas in it and to get some lunch. It seems the mandatory destination, when taking the maiden voyage in a new old car is Taco Bell, in Nixa. After eating lunch, we had starting issues with the truck. One of the things that I opted not to do, up until now it appears, is to have the tank boiled and sealed. The fuel line was clogged, so we pulled the filter off of it, blew air back through it, then were able to get it going again. It was like reliving my first road trip in my ’40 coupe! 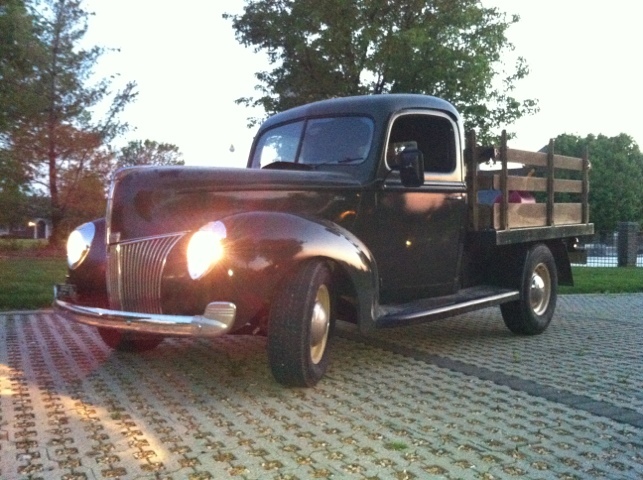 Anyway…I decided to leave my coupe at Doug’s shop tonight, and drive the stake truck home. It went pretty good, with the exception of the fact that there seems to be a pretty good oil leak and the cooling system didn’t have any thermostats in it, so I boiled out a bunch of water. It doesn’t appear to have damaged anything, and the oil looks good, still. O’Reilly’s will have some new thermostats waiting for me on Monday morning, so hopefully I can have that taken care of Monday evening! Forgot to take pictures on the first ride, but snapped a couple as the sun was setting tonight. A little too far past the “magic hour” but I think they will do the trick. 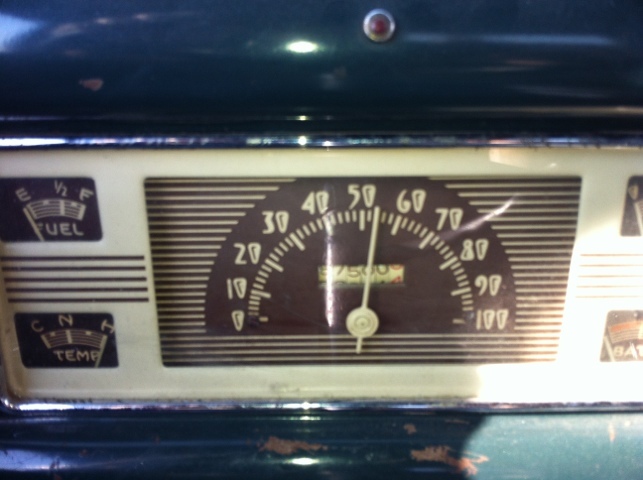 Oh, yeah…the truck turned 67,500 miles on the odometer on the way home, too!